On Tuesday Stornoway Diamond (TSX:SWY) shares climbed 24% to 63 cents after the company reported the recovery of a 9.78-carat diamond during the ongoing processing of the Renard 65 bulk sample. The rock, with a preliminary valuation of $7,000 per carat, is one of the most valuable stones ever discovered at the Renard diamond project. Only last week the Canadian junior explorer announced it had obtained approval from the Quebec government for this mine. Stornoway President and CEO, Matt Manson, said the company’s expectation was to recover a number of high quality large stones, given the size of the sample and its likely diamond size distribution. 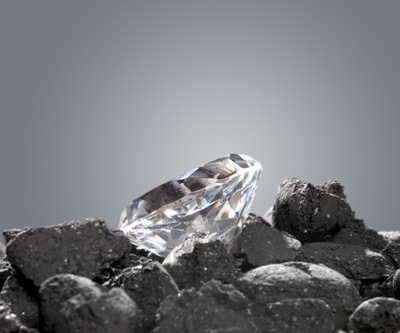 “To have obtained two such large diamonds so early on, both of exceptional quality, is highly encouraging,” he added. The Renard Diamond Project is situated in north-central Quebec approximately 250 kilometers north of the Cree Community of Mistissini and 350 kilometers north of Chibougamau. It has probable mineral reserves of 18.0 million carats, as well as 17.5 million carats in inferred mineral resources. Pre-production capital costs are estimated at $802 million, while the life of mine operating cost is $54.71 for a 68% operating margin during the initial 11-year mine life.